Whether you're in high school or college, you no doubt will have your iPhone in your pocket all day long. To make your iPhone last the whole time and even help you out with your studies, these are the accessories you'll want to get your hands on. You might not think you need any accessories for your iPhone, but these attachments and peripherals will definitely make life easier at whatever educational institution you're attending. Run out of battery? There's an accessory for that. Lose your keys? A small device can help you locate them. Want to record lectures? There are tools that will make them super clear. And those are just some of the things additional iPhone equipment can help you out with during your school time, whether in class or on break in the lunch room. Check out the full list below for some products you can snag before starting or heading back to school, either for yourself or for a child or someone else you know that could use a little help during their educational years. Depending on how long your school day or night is, how often you use your iPhone, and what exactly you're using your iPhone for, you may get that "Low Battery" warning quite frequently. There might not be any easy access to a wall outlet to charge your iPhone with, and if you have a laptop with you, you'll want to conserve its power instead of sucking it dry to recharge your iPhone. That's why a battery pack is an iPhone owner's best friend. Just charge the battery pack overnight, then take it with you to school. When your iPhone starts getting low on juice, just plug your Lightning cable's USB end right into the battery pack. 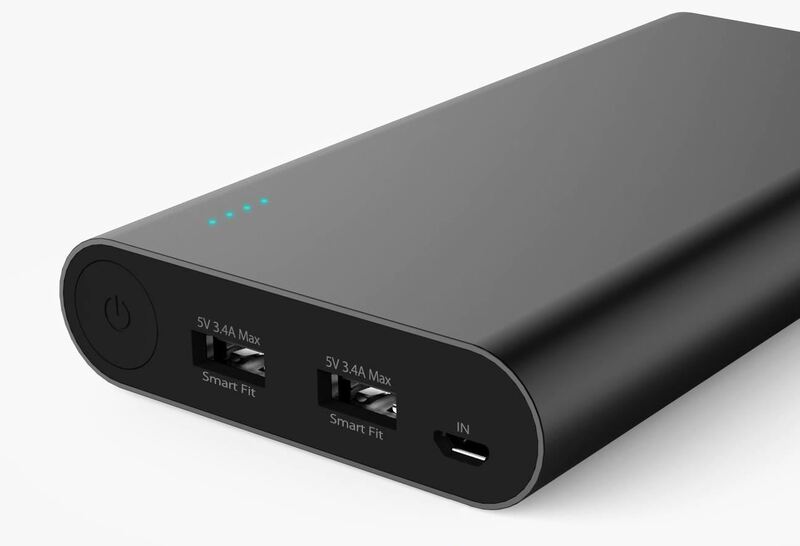 Our favorite portable battery pack for iPhone is the Titan 20,100 mAh charger by Jackery. It has two USB ports, both capable of faster charging at 3.4 amps (17 watts). To put that in perspective, the 5-watt adapter that comes with your iPhone can only charge at 1 amp max. Most other battery packs max out at 2.1 amps (10.5 watts). Also, at a full charge, the Titan can charge an iPhone 6S more than seven times before needing to be recharged itself. Jackery Bar 6000 for $17.99: Ultra-compact bar with one charging port at 2.1 amps (10.5 watts). It has a built-in flashlight. Capacity is 6,000 mAh. Can charge an iPhone 8 over two times in before needing to be recharged itself. Jackery AirRocket for $35.99: Capacity is 6,000 mAh. Has one USB port at 2.1 amps (10.5 watts) that can charge an iPhone X or 8 Plus about 1.5 times and an iPhone 8 over two times before needing to be recharged itself. Can also wirelessly charge your iPhone X or 8 Plus once and an iPhone 8 about 1.6 times before needing to be recharged itself. Jackery SuperCharge 26800 for $99.99: Has a 26,800 mAh capacity with a USB Type-A port at three amps (15 watts), but also has a USB Type-C port for 45-watt fast charging. Also includes a 45-watt USB Type-C wall charger that charges the battery pack but can also be used to charge your iPhone or MacBook. Provides over seven charges for an iPhone X and 8 Plus, as well as 12 for an iPhone 8, before needing to be recharged itself. Anker PowerCore 10000 for $29.99: Ultra-compact design and 10,000 mAh capacity. Has one USB port at 2.4 amps (12 watts) that can charge an iPhone 6S about 1.3 times before needing to be recharged itself. Anker PowerCore 20100 for $49.99: Has a 20,100 mAh capacity and two USB ports at three amps (15 watts). It can charge an iPhone 6S about 4.7 times before needing to be recharged itself. Uni-Yeap 11000 for $17.99: Has a capacity of 11,000 mAh and has two USB ports. One port is 2.1 amps (10.5 watts), and the other is just 1 amp (5 watts). It has a flashlight and an LCD screen that displays how much juice is left in the battery pack. Can charge an iPhone 6 and 7 about five times before needing to be recharged itself. And there are just some of your options. You can search Amazon, Best Buy, and other retailers for the highest-rated, best-performing battery packs with the features you need if none of the above works for you. If you're allowed to record lectures at your school, the iPhone's built-in microphone might not get all the details of the discussion that are clearly audible when playing back. This makes it hard to transcribe the lectures later, causing some guesswork on your part. To prevent this, buy an external microphone for your iPhone. There are some lavalier mics you can get, like the PowerDeWise ($15) and Sennheiser ClipMic, but those are only really good when clipped onto the speaker. Since you'll likely be a distance away in your desk, the Apogee MiC+ ($220) is a good option. It comes with a desktop tripod stand and connects via Lightning cable to your iPhone. The mic itself is small enough to fit into your pocket, so it's not going to take up your whole desk space. It's capable of 24-bit resolution and up to 96 kHz recordings with a PureDIGITAL connection and has dynamic range. There's 46 dB of mic preamp gain so that you can capture dialogue from pretty far away, and it can be digitally controlled for greater precision. There's also a headphone jack so you can listen in and improve the capture as you record. If you don't have a desk at school, which is common in big lecture theaters at universities and colleges, then a tripod mic might not be very convenient. 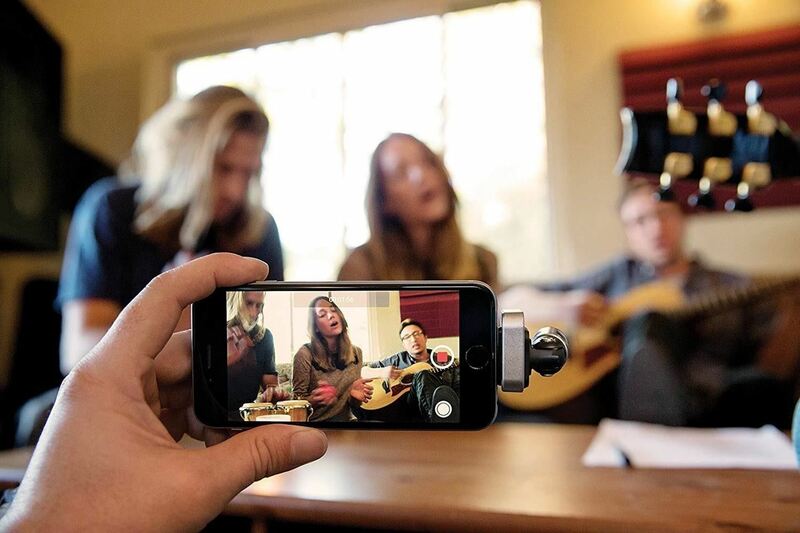 In that case, there's the Shure MV88 ($149) digital condenser microphone that mounts right in your iPhone's Lightning port. It has a 90-degree hinge, so you hold your iPhone more comfortably while targeting the speaker. It has five presets for recording, one of which is for speech, and has a frequency response from 20 Hz to 20 kHz, giving you a wide range of options. The MV88 also automatically adjusts the equalizer, as well as compression and limiting. 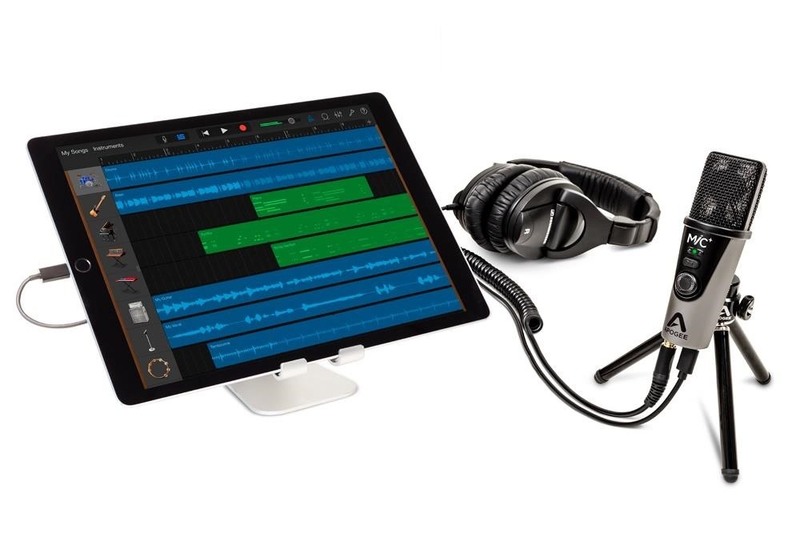 You can connect headphones to your iPhone to listen while you record, but if you have an iPhone without a headphone jack, you'll need an adapter to record and listen at the same time. The mic will swing freely if the adapter has a wire, but there are a few adapters that have no wires that can support the mic as intended. After you've recorded some lectures, whenever you're in-between classes or have some spare time otherwise, you could be listening to them, so a good pair of headphones is necessary. Honestly, the EarPods that came with your iPhone are probably solid enough for just playing back notes. 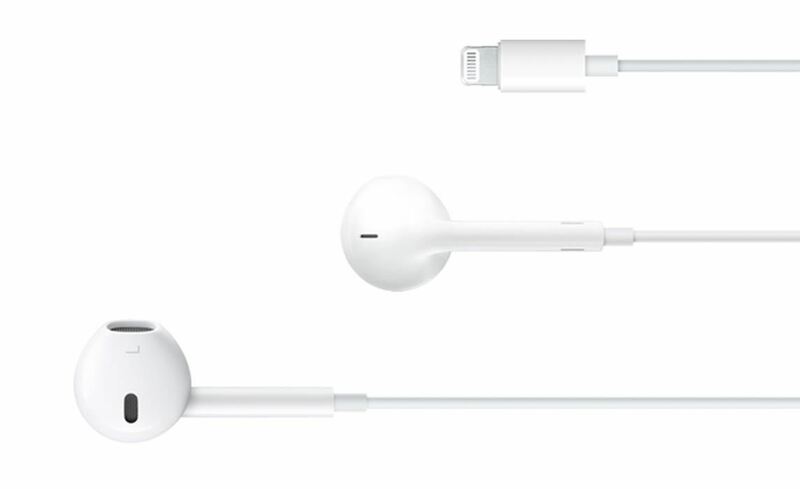 But if you lose the 3.5 millimeter Lightning adapter that came with them (if you have an iPhone model without a headphone jack), you might be better off just getting a pair of Apple EarPods with Lightning Connector ($19.99). Bose QuietComfort 20 Acoustic Noise Cancelling Headphones for $249.00: Uses noise-canceling technology, so these are good for recording and listening at the same time, but also has an "aware mode" that you can trigger to stop noise-canceling. Has an in-line remote and 3.5-millimeter jack (so you may need a Lightning adapter). Beats urBeats3 Earphones with Lightning Connector for $59.99: Durable solid-metal housing, has an in-line RemoteTalk cable, and eartip inserts. The cable is tangle-free, and the headset offers excellent sound isolation without begin noise-canceling. Beats urBeats3 Earphones with 3.5 mm Plug for $59.99: If you don't want or need a Lightning set of headphones, there's also a 3.5-millimeter jack version that's exactly the same as the one above in all other areas. If you want to go wireless, Apple's AirPods ($144.99) are a fashionable route to take. They come with a charging/storage case with a 398 mAh battery that can charge the AirPods in just 15 minutes from the case for three hours of listening time. Fully charged AirPods last 5 hours of listening time. The case can be recharged with any Lightning cable, and you can use your battery pack, if you have one, to not only recharge your iPhone but your AirPods case as well. AirPods also come with Apple's W1 chip for intelligent, high-efficiency playback. Apple's in-depth video about the AirPods' design. Powerbeats3 Wireless Earphones for $159.99: Unlike with AirPods, these wireless headphones have wires on them, but only connecting the two earphones. There are earhooks to keep the eartips in place, it has a carrying case, charging cable, remote with mic, and extra tips. With just a five-minute charge, you can get about one hour of playback, and it maxes out at 12 hours when fully charged. There's also noise isolation tech and a carrying case. And it has Apple's W1 chip. BeatsX Wireless Earphones for $99.99: Like the Powerbeats3, they have a wire connecting the earphones. Instead of earhooks, there are optional wings included to help the tips stay in your ear. Also, battery life isn't as impressive as the Powerbeats3. A quick five-minute charge does get you two hours, which is better, but a full charge maxes out at 8 hours. There's also noise isolation tech and a carrying case. And it has Apple's W1 chip. No iPhone comes with a stylus, and the Apple Pencil does not yet support any iPhone models, but that doesn't mean there are no capacitive or active styluses that can help you navigate your iPhone more efficiently and take notes when you're all out of paper. One of the best ones you can get for a decent price is the MEKO Universal High-Sensitivity Stylus ($14.98). It feels like a real pen and comes with two different capacitive styluses, each with two different ends depending on what you're using it for. Two thin fiber tips come with it, which are akin to the types of rounded tips you would see on cheap dollar-store styluses. There are also four disc tips, each of which has a high-precision point with a transparent disc around it for stability and to ensure the iPhone's screen will register a touch with such a thin tip. Review of the MEKO stylus by Teoh Yi Chie. Mixoo Capacitive Stylus Pen for $10.99: Similar to the MEKO above, with one rounded tip and one disc tip. Comes with one rounded fiber tip and three disc tips total. Evach Active Stylus Digital Pen for $29.99: This one has a 1.5 mm fine elastic tip for pinpoint "active touch" accuracy and is powered by the pen's internal battery. Just press a button to turn it on and off. On the other end, there's a charging port and a magnetic cap with a rounded tip for when you run out of battery. UROPHYLLA Stylus + Pen for $8.69: This one doubles as both a capacitive stylus with a rounded fiber tip and a ballpoint pen for writing on actual paper (i.e., only one end works on the screen). The precision of the regular fiber tip is not very high on a small screen, but it's an excellent backup option if you have paper on hand. There are 10 pens included. When you have a ton of books, bringing both your iPhone and a laptop to school could just be too much stuff. If you're not sold on recording lectures and a stylus is not fast enough for you, there's always an external keyboard. Apple's iOS does not support any computer mice, but it will work with Bluetooth keyboards. If you're tight on space, the Logitech K480 Bluetooth Keyboard ($27.63 for black, $24.95 for white) is a good one to try out. It's only 20 millimeters thick (0.79 inches) and weighs 1.81 pounds. It's a flat keyboard that runs off two AAA batteries, so you never have to worry about running out of juice if you have a few AAAs in your bag as backups. You can connect up to three different devices with this keyboard at one time. Switching between them is as comfortable as turning the dial on the keyboard to choose the right connection. You can even fit an iPhone and an iPad in the display cradle at the same time. If you have a massive case, you may need to take that off first, however, before sticking the iPhone in the cradle slot (it supports up to 10.5 millimeters (0.4 inches) thick. Logitech's promo video for its K480 keyboard. Geyes Portable Folding BT Keyboard ($32.99): Folds into a rectangular block and only weighs seven ounces. Has kickstand to hold your device upright and three hinges. The built-in battery supports up to 64 hours of continuous use and 100 days standby, and it can be recharged using the included Mirco-USB cable (no power adapter is included, but you can charge it with virtually any USB adapter). Nulaxy KM12 Bluetooth Keyboard for $17.99: Flat keyboard design with a protective cover that doubles as an iPhone stand. It weighs just eight ounces. Built-in 200 mAh battery has a 60-day standby time. Recharges using a Micro-USB cable (not included). Geyes Portable Folding Bluetooth Keyboard 228 for $17.99: Folds in half (one hinge), weighs about a half pound, and comes with storage pouch, iPhone stand, directions, and a Micro-USB cable. Fosmon Portable Lightweight Mini Wireless Bluetooth Keyboard Controller for $22.99: If you're faster at typing on a QWERTY keyboard than you are on a full-size keyboard, whether it's because you've mastered the art of iPhone texting or spend all day typing to your Xbox or PS4 friends, this might be the keyboard for you. It's a controller, not a flat keyboard, and it also has a touchpad built in (though, that won't work on an iPhone). Uses Bluetooth 3.0, has a built-in rechargeable battery, and has backlit technology for when it's dark out. Comes with a Micro-USB charging cable and weighs just 5.6 ounces. Are you the type that continually loses your keys, backpack, or even your iPhone? Then you'll want to invest in a Tile Mate ($32.50). This particular package comes with four Tile Mates that are 34 millimeters square and 4.65 millimeters deep, but there are thinner ones, stylish ones, and waterproof ones too. Put one Tile Mate on your key ring, one in your backpack, one on your bicycle ... you get the picture. Put them on all the things you lose frequently, but not your iPhone. While the iPhone has "Find My iPhone," there's actually a very convenient feature that lets you double-press a button on any of your Tile Mates to make your iPhone ring (sure beats logging onto a computer to do the same thing or buying an expensive Apple Watch to do the same thing). If something you lost is out of Bluetooth range, the community of Tile Mate users can help. Whenever they come in proximity to the lost tagged item, it will report its location and notify you. This will continue to happen until you locate it. Tile Mate's promo video showing how it works. When you don't have a car, a bicycle is the next best thing for getting to school on time. Plus, unlike a car, it can make it easy to get from class to class when you're on a big campus. But it's likely that your iPhone will slip out of your pocket while biking, and if you listen to your lectures, want to keep track of the time, or need to see your schedule updates, a good bike mount will keep your iPhone safe and secure. One good option for cyclists is the Rokform Pro Series Bike Mount and Case (ranges from $56.59 to $98.95). It's a little pricey, but it comes with a military-grade aluminum mount that attaches right to the stem of the 1-1/8-inch threadless head tube on your bike. It also tilts up to 75 degrees so there should be no issues with being able to view the screen. The protective case is a rugged design which will keep your iPhone safe should you ever drop it. The case is also required with the mount since it has a built-in cutout in the back that locks into the mount. This twist-lock system is also backed up by a magnet for dual-retention locking. Plus, there's a lanyard for even more protection, just in case the locking mechanisms fail. If that's a little too much money for you, Rokform also offers a Pro-Lite Mount and Case (ranges from $57.38 to $68.95). The most significant difference is that this model won't let you tilt the iPhone at all. 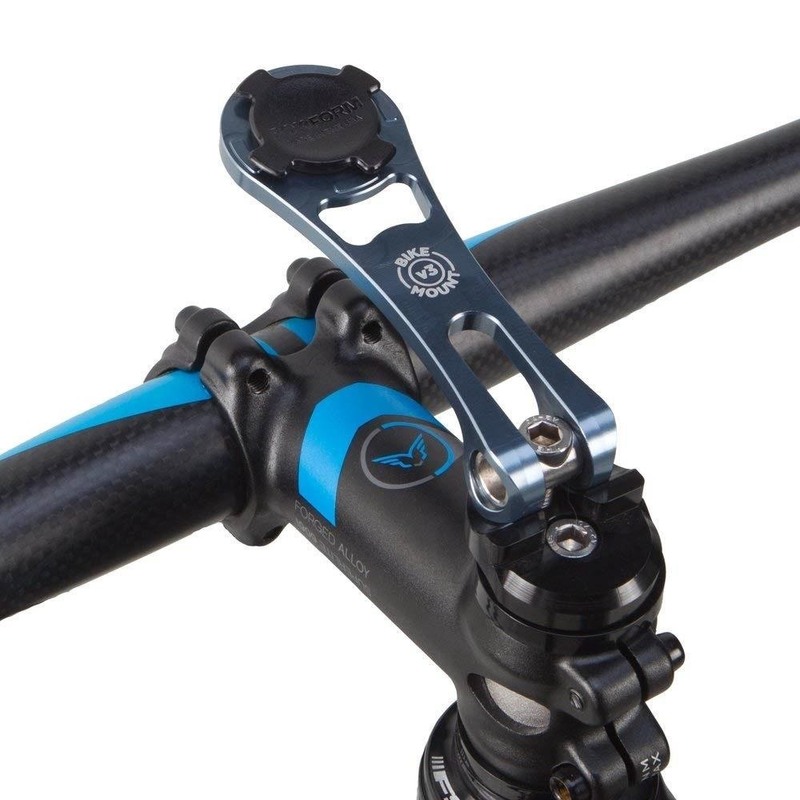 Also, if you can't use one that mounts to your stem, likely because you don't have the right type of stem, Rokform also has a Sport Series Handlebar Mount and Case (ranges from $44.75 to $59.00), which mounts around the handlebar, if you didn't figure that out already. It also can't tilt. Bovon Universal Bike Mount for $9.99: Does not come with a case but has a flexible silicone band that will hold your iPhone in place. Mounts around handlebar with a clamp. Mongoora Bike Phone Mount for $9.46: Also does not come with a case and also has a flexible silicone band that will hold your iPhone in place. Mounts around handlebar with a clamp. Visnfa Bike Phone Mount for $6.70: No case, but has a built-in four-corner buckle that keeps the iPhone from falling. Mounts around handlebar with a clamp. Wallfire Bike Phone Mount Bag for $12.99: Bag holes more than just an iPhone ... you can put your keys, flashlight, pepper spray, or any other small item in there. It has a built-in TPU screen protector for the iPhone, is waterproof, and has sun shade to see the screen more clearly. Mounts around the handlebar and stem with Velcro. RockBros Bike Phone Bag for $13.99: Pretty much the same as the Wallfire one above. If you didn't get the iPhone with the most storage available, you've probably seen that "Storage Almost Full" warning quite a few times. You can always store photos, videos, and documents in iCloud, but you only get 5 GB of free space there. Personally, my .mac email account and iOS backups exhaust that five gigs on iCloud fairly quickly. Fallback cloud storage that you can see in Apple's Files app includes Box, Dropbox, Google Drive, Creative Cloud, and more, but it's kind of a pain to juggle different cloud storage apps if you don't like paying a premium. For those of you who need a little bit more space for storing photos, videos, and documents, an external flash drive can help, and it's easy to plug into your Mac or PC to transfer files to and from it. Whenever you're taking notes or recording a lecture, you don't want that "Storage Almost Full" warning popping up, so use a flash drive to store files you don't need on your iPhone all the time. There are plenty of Lightning/USB flash drives available for the iPhone, but one of the more popular brands is HooToo. They have different storage capacities, including 32 GB ($34.99), 64 GB ($48.99), and 126 GB ($74.99), all of which have a USB 3.0 connector for your computer. You can view files, as well as transfer them, using the iPlugmate app on your iPhone. Supported files include .gif, .jpg, .png, .jpeg, .m4a, .aiff, .caf, .mp3, .wav, .avi, .flv, .m4v, .mkv, .mov, .mp4, .rmvb, .doc, .ppt, .xls, .xlsx, .pdf, .html, .txt, and more. You can also shoot photos and videos directly to the flash drive using the iPlugmate app. HooToo's promo video outline the features of its flash drives. SanDisk 32 GB iXpand for $35.97: Has USB 3.0 transfer speeds on a computer, uses the iXpand Drive app. SanDisk 64 GB iXpand for $39.99: Has USB 3.0 transfer speeds on a computer, uses the iXpand Drive app. SanDisk 128 GB iXpand for $59.99: Has USB 3.0 transfer speeds on a computer, uses the iXpand Drive app. SanDisk 256 GB iXpand for $35.97: Has USB 3.0 transfer speeds on a computer, uses the iXpand Drive app. Hhappiness 128 GB for $38.88: Has USB 3.0 transfer speeds on a computer, uses the Y-Disk app. SUNTRSI 32 GB for $21.99: Has USB 3.0 transfer speeds on a computer, uses the iFlash Pro app. SUNTRSI 64 GB for $39.99: Has USB 3.0 transfer speeds on a computer, uses the iFlash Pro app.